Do you want to improve the look of your home? Valrico is a unique place because of our climate. Many homeowners would love to maintain a beautiful home exterior, but find themselves battling the elements, such as extreme temperatures and severe wind. Because of this, homeowners need to be able to buy cladding products that will not just beautify their home, but protect it from nature, as well. Vinyl siding can provide significant savings to homeowners. New vinyl siding products have the benefit of improving the look of your home while also being inexpensive. Unlike wood products, vinyl won’t warp, peel, or break down in harsh weather. Because of this, vinyl siding is a great choice for the Valrico area, since it can look beautiful and well-maintained, regardless of wind conditions or temperature. 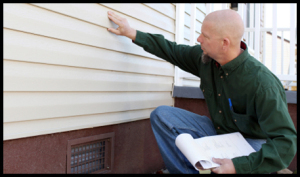 Additionally, there are a number of benefits to vinyl siding that wood cannot match. High quality panels can reduce outside noise, and can also prevent the growth of mildew and mold. Vinyl panels also prevent animal infestations, and because of its durability, can protect your home throughout the year. We offer a large inventory of vinyl panels, and have the best materials available for our customers. Because of our large selection and product connections, you will be able to pick the color and design that best suits your home. Our vinyl installers are highly trained in the best methods and can work with you to enhance the exterior of your home. Because of our extensive experience in installation, you can rest assured that we will create a lasting finish that will look beautiful for years to come. We are updated on new installation techniques and are experts at local installations. 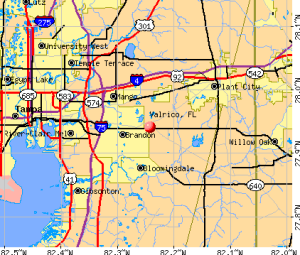 If you are in the Valrico, FL area and need help with your next project, call Tampa Exteriors at (813) 659-5426. What’s the Price for Patio Door Installation in Tampa? What’s the Avergage Price for Asphalt Shingle Roofing in Tampa? Tampa Exteriors proudly services Hillsborough, Pasco, and Pinellas County areas including Ybor City, St. Petersburg, Zephyrhills, Lutz, Carrollwood, Dunedin, Oldsmar, Temple Terrace, Wesley Chapel, Mango, Safety Harbor, Saint Petersburg, Citrus Park, Lakeland, Lake Magdalene, Clearwater, Brandon, Palm Harbor, and Largo. 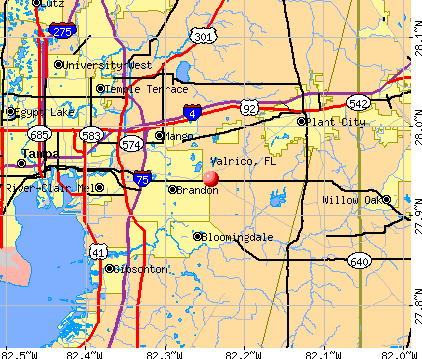 Click here for our service map. Tampa Exteriors is an independently owned company that’s based in Tampa to serve the needs of local home and commercial building owners. We’re large enough to handle any sized job, yet small enough to do so on a personalized basis with the cornerstone of our reputation being built on a commitment to offering quality craftsmanship and competitive pricing on siding, roofing, windows and doors. Tampa Exteriors specializes in siding, roofing window replacement, and exterior doors in the Tampa Bay, FL area.